The Zchted kingdom held seven dukedoms in the inside. Even in Zchted called the “country of snow and forest” and with long winter compared to other countries, the south had a lot of warm regions. But, Olmutz with many hills and mountains was an exception. The coldness of the wind blowing down from mountains covered with snow was to the extent that even the beasts of the field ruffled their fur and crouched. The lord of that Olmutz was called Ludmira Lurie. She was currently 17 years old and one of the proud Vanadis of Zchted. With the nicknames of Snow Princess of the Frozen Wave (Michelia) and the Danseuse of the Spear (Peak Toss), she was called Mira by those close to her. Taking the iron kettle filled with hot water that was in the desk, Mira brewed black tea (Chai) for two persons. One was the messenger’s portion. Something like this was originally the duty of a servant or maid. However, she decided to brew tea personally for people whom she judged proper to do so. Around the end of summer, Tigre received a request of the Zchted King Victor and proceeded to the Asvarre Kingdom in the west across the sea. Afterwards, Germaine lost his life within various confusions; Tigre cooperated with a young General called Tallard Graham and it was Princess Guinevere who won the civil war. Guinevere wished for a friendship with Zchted, and Tigre was able to accomplish his duty as result. Under the return to Zchted, The ship which Tigre was boarding was attacked by someone. The sea dragon destroyed the ship and many people boarding it were thrown out in the night sea. Mira muttered only that and put the white porcelain cup on the table. Her hand faintly trembled and it made a louder sound than expected. —I wonder what he intends to do. —There will definitely someone who has to take responsibility. I don’t think that the fault will be pushed onto Eleonora though. Afterwards, as she asked some things about Zchted’s situation and the messenger answered again, Mira called the chamberlain. She told him to guide the messenger in a guest room. When the messenger stood up and politely expressed words of thanks, he left the drawing room. A mutter mixed with indignation and sadness leaked out from her trembling lips. If she came out of this drawing room, she had to behave as Ludmira Lurie who governed Olmutz. In this little time when she was alone, she spitted out all her feelings. They immediately melted and disappeared when they touched the ground; and soldiers sighed with a gloomy mood. The snow made the wind colder and froze their breaths. Furthermore, they had to camp out here. Exchanging idle chats between fellow soldiers while rubbing their hands together and praying to the gods so that the snow did not become severe was what they could do. Radom’s plains were in the south slightly more than in the center of the Zchted Kingdom. In this ground which could not be said to be very wide, approximately 2000 soldiers had gathered. About 1000 soldiers led by the Vanadis Eleonora Viltaria of LeitMeritz, and likewise about 1000 soldiers led by the Vanadis Elizavetta Fomina of Lebus. While also fluttering the battle flags of each dukedom besides the Black Dragon Flag (Zirnitra), the soldiers were busy with the construction of camps. A few days ago, Bydgauche Duke Ilda which was a great noble moved his troops to attack Pardu Earl Eugene for a certain reason. Receiving a royal order to stop Ilda, the two Vanadis left their territory accompanied by their soldiers. And the two girls accomplished joining forces in these Radom plains for information exchange. Eleanora was called Ellen by those close to her. Not only was she was an impressive, beautiful 17-year-old girl whose silver hair streamed until her waist, but she was also a superior warrior and commander with the nicknames of Wind Princess of the Silver Flash (Silvfrau) and Danseuse of the Sword (Meltis). Wrapping her body in blue combat outfit, the red pupils of Ellen who set up her long sword were shining with anger which seemed to blow off those who met them. However, what gave a strong impressive to those who looked at her were not her vividly red hair or the purple dress which wrapped her rich body, but probably her pupils of different colors –– Rainbow Eyes (Laziris). The golden right eye which held high spirits and the blue left eye which hid an intense atmosphere were both reminiscent to lightning crystals (Tourmaline) tinged with a modest lightning when holding heat. There was quite a deal of fate between these two girls and it would be fair that their relationship was dangerous, but it was not as if they thoughtlessly fight against each other. Nevertheless, there was a reason as to why they were hostile to each other like this. It was the existence of the youth standing on horseback beside Elizavetta. The youth was called Urz. It was probably not his real name. Because he lost his memory. About one month ago, Urz fell down to the coast in western Zchted. He was saved by villagers who happened to pass by there, but when he woke up, he was not able to remember even one thing about himself. The name Urz was the word which came out from the youth’s mouth after the villagers repeatedly asked him about whether there was not something that he could remember. Afterwards, there were ups and downs, and Elizavetta took a liking to him and made him her servant. Since she kept him by her side as servant, it was something considerable. Urz did not dislike Elizavetta, either. —There are some troubles, but she doesn’t seem to be bad at bottom. He had such an impression, and there was also the fact that he owed her about picking him who was an aimless person. He intended to serve her until his memory returned. Even the baldhead knight following her let his beautiful face flush and called for him in a voice wearing heat in no way inferior to that of his Lord. “Lord Tigrevurmud”. As Urz was dumbfounded at the sudden thing, Elizavetta broke in as she was unable to bear it any longer. She cried that Urz was her subordinate, and that she did not know someone called Tigrevurmud Vorn. The silver-haired Vanadis let her face, strained in tension, slightly become loose. On the other hand, the red-haired Vanadis tried to raise her voice, but no words came out from her mouth and she strongly grasped the black whip with both hands. When Urz bowed to Ellen, he told in a calm, cold tone. The snow which fell as if dancing looked as if it was frozen in the time. Ellen stared wide-eyed, was at a loss for words and could not move even one finger. Even the baldhead knight was appalled and was not able to utter his voice. To both of them, the youth deeply bowed. Silence fell. The three people’s face, except Urz, turned pale out of too much shock. Even Elizavetta who was the youth’s Lord. Sheathing her long sword, Ellen got down from the horse. She went towards the red-haired Vanadis and bowed her head even deeply so as not to lose to that of Urz a little while ago. Ellen straddled her horse and both girls bowed. The baldhead knight also turned his gaze towards Urz, seeming to want to say something, but when the silver-haired Vanadis turned her horse, he followed her. Since she turned her back, Urz could not see her face. However, the Vanadis’ voice which rode upon the winter’s wind and reached him melted joy and embarrassment together. When the two people reached the camp, the snow stopped. In a place where they returned to LeitMeritz army’s camp and entered the tent prepared for the supreme commander, the baldhead knight asserted to Ellen as he could no longer bear it. When looking at the palm of her right hand, blood slightly blotted. They were traces into which fingernails dug. If she did not clenched her fist so strongly, she would not have been able to restrain her feelings. A gentle breeze softly stroked Ellen’s cheeks and flickered the flame of the candlestick. It was the long sword at her waist which raised wind. This Dragonic Tool called Silver Flash was endowed with the power to control wind. —That’s right. It isn’t the time to feel depressed. Turning a sympathetic look towards the baldhead knight who wandered his gaze around, Ellen continued. It was a story which one could hardly say with any finality that it was impossible. In the first place, Tigre fell in the sea of winter and at midnight at that, and was not found despite strenuous search. It was unreasonable to think that he was alive. She, who held the nickname of Hidden Princess of the Luminous Flame (Falpram), lost her life due to illness and the Vanadis who would succeed her did not yet appear. If it was caught up in a conflict in these circumstances, it would probably suffer immeasurable damages. With her arms still folded and a serious expression, the Wind Princess of the Silverflash (Silvfrau) was motionlessly staring at the empty space. On the other side, it was the camp of the Lebus army. In the tent for supreme commander, meeting Elizavetta and Urz was the knight Naum who served as the Vanadis’ close aide. Though he was in his mid-thirties, he had many white hair mixed with black hair and deep wrinkles harking back to hardship (labor) were carved on his face which carefully shaved his beard. Naum was one of the few men favorably received Urz whose identity was unknown. Urz reservedly asked. This was because it was clear that it was him the cause of the clash between two Vanadis. Elizavetta nodded with an expression saying “obviously”. While preparing a chair for her, Urz, somewhat puzzled, gave words of thanks. Naum who lighted a candlestick asked the red-haired Vanadis. Urz was also about to left the tent following Naum, but in a place where he turned his back to his Lord, he was suddenly called to stop. As he turned around, the Vanadis of Rainbow Eyes stared at him with an awkward face. Her dignity of commander who gave orders to soldiers one after another could not be felt from her now. Around the pan, if there were soldiers who were holding out his hands towards the fire of the furnace, there were also soldiers who warmed their bodies by rubbing distributed distilled strong drink (Vodka) to their hands and feet. Seeing that, there were also soldiers who grieved saying “what a waste”. —If I remember correctly, it was fish soup (Ukha) tonight. It was a dish familiar in Zchted, made by putting plenty of water in the pan and carefully cooking fish and vegetables cut into chunks. Today, they used salt cod, onion, potatoes and carrots. The seasoning was only the salt used on the cod, but it was enough since it was quite strong. Urz who was absentmindedly staring at them was called and looked back at that direction. Naum was standing there. He was holding a bottle of fruits water and two pieces of big rye bread. Urz briefly explained what happened. About the fact that Ellen and Rurick called him Tigre. That Elizavetta denied it and it turned into quarrel. That he broke in between them and answered that he was Elizavetta’s servant. Urz looked up at the knight who was probably about ten years older than him with an expression which seemed sorry. While he was talking, Naum had a sullen all along and he was deepening more and more the wrinkles of his face. Moreover, his white hairs which were not few might further increase. As he swallowed his bread, took the bottle of fruit water and moistened within his mouth, Urz looked at Naum with a serious expression. Since Naum was in the midst of having stuffed bread into his mouth, he nodded his head silently. Naum explained about Tigrevurmud Vorn. That he was the man who brilliantly end the civil war which occurred in the Brune Kingdom last year, and also the man who repulsed the Muozinel army of 20000 soldiers which had invaded Brune with only 2000 soldiers. Urz smiled wryly and shrugged his shoulders. Even this youth knew Dragon’s scales were of hardness that even a forged steel sword was not able to make a dent in it. Though Naum laughed, he put on a serious face right away. Urz did not immediately reply and looked downward as she was lost in thought. Judging from what he heard from Naum before, Elizavetta took a liking to him because she high evaluated his skill with the bow, and also because he was the first subordinate she chose herself. Naum who was threw the question stared in wonder and stared at the youth with an amazed face. Urz inwardly looked puzzled about whether what he said was so strange. —You’re my prisoner. Come to think of it, you’re the first person I take as prisoner. —I fell in love with your skills with the bow. When he met Elizavetta for the first time, Tigre was at the beach with villagers. They were attacked by pirates. There were many pirates, Elizavetta who was out for a recreational walk did not happen to pass by, Probably, Urz and others would not probably have been saved. That said, it was hard to honestly say it was fortunate. This was because Elizavetta who wield a Dragonic Tool and kicked about pirates made Urz and the others deliver a boat in order to run after the pirates who ran away and moreover and ordered them to row the boat. For Naum was accompanying Elizavetta at that time, there were memories which made his stomach hurt. Because he had answered so, he was pushed in the sea by a villager who was in the same boat. Combining his personal experiences from before and after, there was no way he would forget. So Elizavetta had been abandoned by her parents. Urz held his breath and his face was distorted with anger. The grizzled knight continued his story. Urz immediately reconsidered and apologized to the knight with a tired face. It was only about one month since he came to work in Lebus, but he could understand such a necessity. Naum did not mind it and attached the bottle of fruit water on his mouth. —There doesn’t seem to be a decent reason. —So he abandons her at his convenience and takes her over again at his convenience, huh. Urz felt indignation at the too much selfish talk. The inside of the youth’s head heat up to the extent that he did not care about the night wind. As he perceived it, Naum became silent for a while. It was after ten seconds passed that he resumed the talk. Those eyes of different colors were something ominous. Something disgusting which determined her circumstances (environment). Even she was living thinking so, it completely changed. For Elizavetta, there was no doubt that it was so much a shock as if the very universe was overturned. You. What do you think when you see my eyes? Tell honestly what you thought. Even looking at her Rainbow Eyes, he considered it them neither evil nor good omen. Probably because it was Urz who lost memory, thus without did not know his identity, had no extra knowledge or prejudice and had no ties of obligation based on the status, he was able to do it. Naum’s hand which grabbed his shoulder was filled with power. Urz frowned and groaned. Naum came to his senses at the voice and hurriedly removed his hand. “Sorry”, he apologized in a low voice. He did not mean to blame Naum. In the first place, it was something which Urz was curious about. Thanks to that, he understood why Elizavetta was fixated in someone like him. 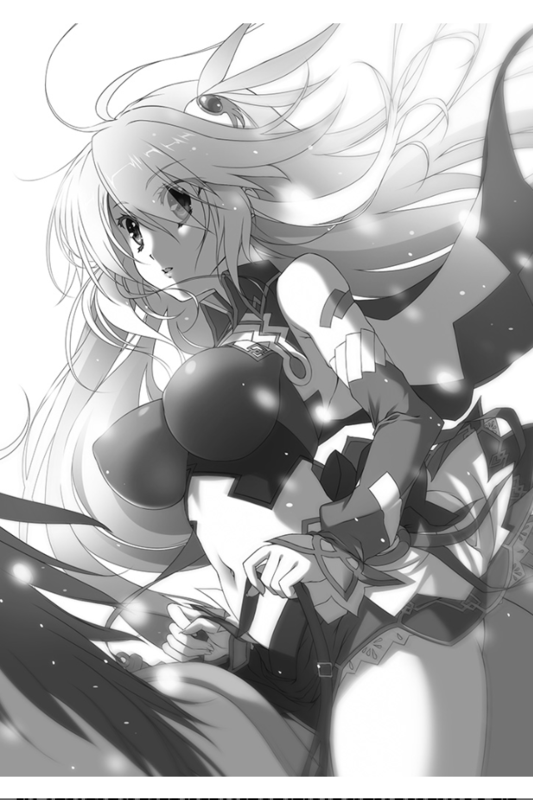 The figures of the silver-haired girl and the baldhead knight which was following her floated in his mind. Their shouts were desperate and acute. There was sincerity. —I think that master called her Eleanora. Urz emitted word as he chewed them one by one, and finally concluded like this. The dealing with the plague was a match with time. Damage would spread as it was delayed. On that point, the persons who could move should be dealt with more early; he had nothing to do with either the King or trust. Naum cut his words for a moment there. The two men looked at each other’s faces filled with discomfort. They could not imagine someone like that being Elizavetta’s father. Naum resumed the talk with depressed face. To his great surprised, Naum’s story was not over. Urz looked at him with a face saying “is there still something?”, but the grizzled knight continued his story as if it was a matter of course. With an extremely serious countenance, Urz entreated. Even if Elizavetta took a liking to him, there was nothing more unlucky than to participate in a war council where those two girls met each other. He thought that they endured well not to fight against each other at that place. The two men did not glared at each other for a long time and floated bitter smiles. Though he was amazed, Urz could not bring himself to hate Naum’s determination (stubbornness). The persons attending were Elizavetta and Urz from Lebus side, and Ellen and Rurick from LeitMeritz side. Both Elizavetta and Ellen spread the maps which they respectively brought on the table, and explained their marches until today and the situation of the reconnaissance units using small wooden pieces. The two girls were as expected veteran commander as they could immediately understand the other party’s intention without him even exposing it in detail. If the battle was done outside of Pardu, the reason for Eugene to send soldiers would disappear. Ellen and Elizavetta who received a royal order prevented and stopped Duke Bydgauche’s rampage. This was because it was settled like that (They settled with that conclusion). Ellen turned a severe look to the map on the table. Neither Elizavetta nor her could yet catch the figure of the Bydgauche army. They would have to assume the worst case –– the possibility of fight in the Pardu territory. As she spat out one sigh, Ellen answered with a face which seemed to want to say “it can’t be helped”. As for Elizavetta, it was unbearable to command until a unit of weak soldiers. Depending on the situation, harm would reach the soldiers of her army. It was wise to leave it to Ellen. Her red eyes blurring a feeling of surprise, Ellen stared at Elizavetta. The Vanadis of Rainbow Eyes knitted her brows as she was amazed. After Ellen looked at Elizavetta with a overtly annoying face, she spoke with a attitude showing that it couldn’t help. Sensibly understanding that the atmosphere had begun to become dangerous, Urz hurriedly broke in between the two Vanadis. Rurick also raised a loud voice and showed mind of agreement with Urz. Ellen agreed, interrupted her enmity with Elizavetta and turned a fleeting towards Urz. As his yes met hers, Urz was for some reason shocked. His heart greatly jumped up. However, as if she did notice Urz’s unrest, Ellen mover her eyes towards Elizavetta. The red-haired Vanadis also pulled herself together and explained. Even if he subdued the bandits lurking in their territory, other bandits would come in from the outside of the territory. Those who committed a heavy crime and were banished from villages and towns and penniless mercenaries might degrade themselves to bandits. Even if they dispatched soldiers and dove them away, they would come back and attacked the villages and towns when it would cool down. Elizavetta looked puzzled. Both Ellen and Elizavetta dispatched soldiers to the nobles which owned a territory along the highway to gather information along with greetings. If someone leaked the existence of Ilda even a little, it would be likely to be found. Even the snow which immediately melted in the plains remained on the mountains and hills without disappearing. It piled up little by little, covered the ground and made the pace of men and horses grow dull. The air which grew cold by snow took heat. While hiding important landmarks, one could let you get an illusion as if there footing there. It was winter now. So as not to let the soldiers freeze, it was necessary to light a fire no matter what. Not only the campfire was used as light, but it was also for soldiers to warm themselves. As for the meal, if they could not prepare warm soup and stew, the morale would remarkably fall. Two shouts of surprise finely overlapped interrupting Urz’s words. It was Ellen’s and Rurick’s shouts. The silver-haired Vanadis stared at Elizavetta with a dumbfounded face. Although the Vanadis of Rainbow Eyes flinched to that gaze, she pouted and said. 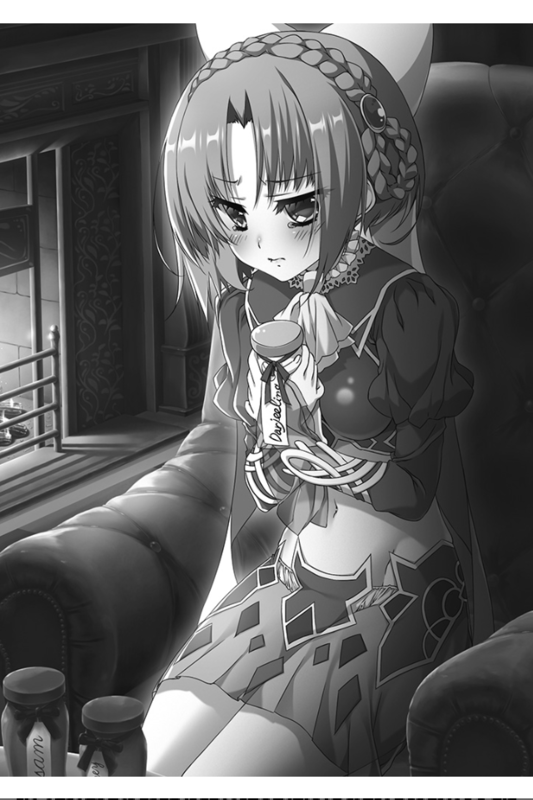 Although Elizavetta stuck out her chest and answered, her voice was lacking in strength in any way. I was waiting for that as well but Ellen put up a good point of view to this because they are not yet sure it is Tigre. And if they where to report this it might be interpreted as them making an impostor to cover Tigres death(well we know it is really him though). We can also suspect from the illustrations that eventually hell get his memories back (maybe?) because he is holding the black bow. Plus I want some development between Tigre and Ellizaveta now that she is so cute as a tsundere. Thank’s a lot. Been waiting for this. what is the conflict between the duke and the Earl Paurd? The earl sent him a bottle of vodka to the duke, and that bottle was poisonned. Surely Valentina’s doing! Yeah, but before that the Duke was starting to get upset over that the Earl was chosen as the King’s successor, Then he met Valentina and can’t really remember what happened but i think i recall her goading him on while getting him drunk. Checked yesterday and chapter 2 was at 70%. Checked today and chapter 2 is 100% and chapter 3 is 10%. I realize you translate as you read and you’re probably as engrossed in the story as we are, but that is amazingly fast. Thanks for the translation, setsuna, but don’t overwork yourself. Damn Ludmira is so cute in this chapter, i wonder how she would be when she found out tigre was still alive…..